Marek Moravec (marek) updated the task description for T63356: Small object are not selected with Box Select tool. Marek Moravec (marek) created T63356: Small object are not selected with Box Select tool. Marek Moravec (marek) added a comment to T55162: Blender 2.8 Blender Keymap changes. You should consider changing the Workspace switching shortcut to Ctrl +Tab (next) and Ctrl + Shift +Tab (previous). It is what all web browsers use for tab switching. Marek Moravec (marek) added a comment to T51344: Object does not snap to some vertices of a mesh. Marek Moravec (marek) created T51344: Object does not snap to some vertices of a mesh. Marek Moravec (marek) added a comment to T38384: Layer Manager. But we could take it even further: Layer trees (the hierarchical list of layers) could be (unlinkable) datablocks so you can have multiple, independent layer trees. It would be possible to copy them and add new clean ones (with all objects on a default layer). That way you can tell the viewport and every other render engine which layer tree datablock to use and you have a big pile of flexibility. It would also be consistent by using an existing approach. As for the local view override, the solution @Brecht Van Lommel (brecht) proposed is pretty solid: allow a viewport to display a single render layer, as well as in the future, the viewport compositor output. A render layer can contain both the viewport display overrides as well as the render engine settings as needed. essentially, if a viewport is a renderer, then it makes sense to use the render layers to control their output. In the viewport a dropdown can quickly switch between full scene layers, single render layers, or viewport compositor output. this eliminates the need for a second layer manager in the viewport but still offers a way to customize individual views. This would also be useful to test render layers output in rendered viewport mode. this way, for example an animator could have one viewport+ render layer drawing a stripped down scene for working and another displaying an full openGL camera render piped through the compositor for effects. we may have to wait for the viewport compositor nodes to get advanced control but I agree its probably better than trying to integrate "FX layers" into layer manager for now. Thanks, but the example you provided can be achieved using the View > View Global/Local setting. Hmm, I fail to find usecases for this that can't be achieved using Local View (which is also local to the editor). Examples please? @Julian Eisel (Severin): That was meant for me I guess. Thank you for your answer! By 'current proposal' I meant the initial post on this page by Pawel Lyczkowski. I am glad to hear that you prepared a detailed document and I really look forward to see it. I will definitely look at it and comment if I find some issues with it. Untill then there is nothing more to discuss I guess :) . @Ejnar Brendsdal (ejnaren): The main point that I wanted to bring up is that there are some serious problems with the current proposal that can cause big troubles in the future. I don't think that my proposal is the only possible solution but I am sure that the current proposal needs a lot of work to be good and future proof. I am a bit disapointed that you are the only one who is willing to discuss it. About the mulple layers per object issue: IMO this is absolutely essential decision that should be made first. I can imagine both systems and they both have their advantages and disadvantages but they both need different aproach and different tools to manage them. I can't see how a single proposal can manage them both. I think it would be best to make single layer per object - it is easier to manage, the export import is easier and the only big disadvantage is the compatibility of older blend files. It is also crucial to make a new system for saving the visibility settings for all the layers - I called it 'viewport layer set' in my proposal and it should work very similar as the RenderLayers but you would save viewport visibility settings instead of render visibility. It is nice to have a layer system with unlimited number of layers but it is useless if you don't have the tools to edit all the layers quickly and efficiently. The current proposal just adds confusion and complexity and removes some essential functionality. Btw. : There are some very good comments by others (especially by Warren Bahler) but I don't see them being reflected in the original proposal. @Ejnar Brendsdal (ejnaren): I think I get it now - you will be able to override the visibility setting of the layer for each object in each 3d viewport individually. I can't imagine how you would manage all the object overrides (?) if you have thousends of objects in your scene. In the top viewport you have a camera view with global layer visibility so that you can see the final composition. The bottom view shows only a few layers so that you can easily see your cameras so that you can easily pick the right camera and move it in xy plane. In current blender it is very easy to setup - just disable the 'use global layers' button and switch off the unwanted layers. In my design proposal the process is the same. How would I set this up in the current design proposal? @Ejnar Brendsdal (ejnaren): This would be a usable solution but you will end with two layer managers - one in 3d viewport for local visibility settings and one in a separate editor for global visibility setting. They will have the same functionality and very similar UI. Wouldn't it be better to keep them both in one place and just pick if you want to set the global or local values? Another thing to consider: There is already a grease pencil layer manager with unlimited layers in Blender. Why should the scene layer manager have a different UI (the layout of buttons, separate editor x inside N panel)? IMO the UI should be consistent and the grease pencil layer manager is pretty good and fits into the Blender's UI well. I made a google document with some text description. The main problem in the current approach with new layer manager editor (eventually incorporated into the outliner) is that you can't set custom layer visibility for each 3d editor individually from an independent editor. There is no way how to tell the layer manager editor which 3d view you want to affect. This is essential functionality and it should definitely be kept in blender. This means that you will need some sort of layer manager in each 3d view anyway and I think it would be best if this would be the main editor for layers with all the important functionality. I am very interested in the new layer manager and I would be happy to help with testing during the development. Marek Moravec (marek) added a comment to T47481: Cycles lamp - different results in 2.76b and current master - IES lights compatibility issues. This is not (only) a problem with the addon! The problem is that all the scene that have lamps that are generated with the addon are broken in the new buildbot Blender. You don't need the addon active to reproduce the bug. Marek Moravec (marek) created T47481: Cycles lamp - different results in 2.76b and current master - IES lights compatibility issues. Marek Moravec (marek) created T47411: Cycles portals: Luminance artifacts. Marek Moravec (marek) created T47175: Linked group goes crazy (sometimes) when switching to Material view..
Marek Moravec (marek) added a comment to D1223: Multiview: Cycles Spherical Stereo support. @Dalai Felinto (dfelinto) Thank you very much! The recent build renders just fine. I found a bug with border rendering but I guess it is better to fill a separate bug report. Anyway, thank you for your work on this! are there any new builds available? The last build I found is 2.74-d33764b from this article: https://code.blender.org/2015/03/1451/ (which is no longer available). The problem with this build is that it outputs very noisy renders compared to standard panorama made in recent 2.76b (official). Marek Moravec (marek) created T46892: Snapping closest vertex with Pivot point set to Individual Origins. Marek Moravec (marek) created T46025: Multiple dimension editing does not work correctly. .
Marek Moravec (marek) updated subscribers of T45361: Camera does not rotate in walk mode (Shift - F). @Dalai Felinto (dfelinto): I can't reproduce this in the Fly View - problem only in the Walk mode. Marek Moravec (marek) created T45361: Camera does not rotate in walk mode (Shift - F). Marek Moravec (marek) created T44826: Cycles vieport - Transparency does not work in Material view..
Marek Moravec (marek) created T44321: Appending an object that is part of a linked group. Marek Moravec (marek) added a comment to T43195: Cycles and Freestyle - clipping plane / sphere problems . It was always known but also manytimes criticized (and even wrongly reported as a bug). 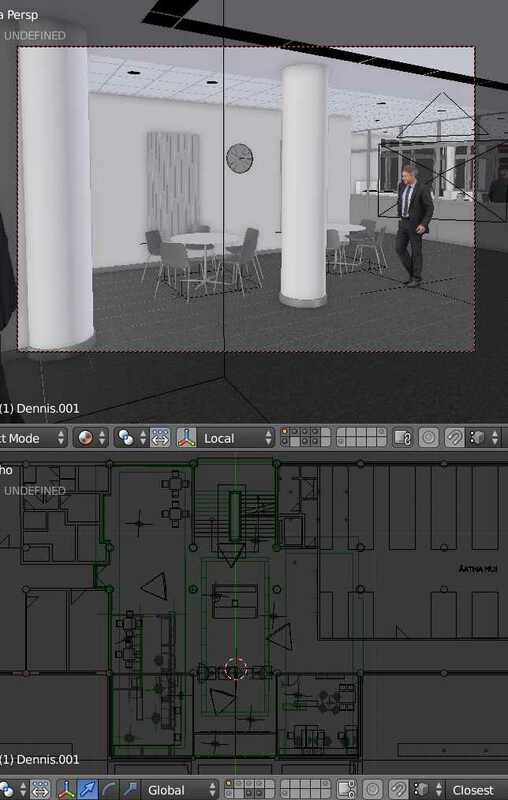 The camera clipping plane is extremely useful for interior architecture scenes but the sphere clipping is very problematic and it limits the way how to place the camera in the scene. It is also quite difficult to set up the clipping distance because there is no preview in the openGL viewport and using rendered view is difficult because interiors render usually very slowly and it takes a while to see the clipping effect clearly. Sometimes the clipping sphere clips just the edge of the table which is not very visible in preview (noisy) render but it is quite clear in the final (high-res). I have to deal with that daily and the change to clipping sphere would be huge for me. I can document some "real-world" examples if needed. In my opinion the positives of this change are worth breaking the old files because the fix is quite simple in most scenes and in some it would not make a visible difference anyway. Marek Moravec (marek) created T43195: Cycles and Freestyle - clipping plane / sphere problems . Marek Moravec (marek) added a comment to T42252: DXF Importer - custom scale - problem with arcs. Marek Moravec (marek) created T42252: DXF Importer - custom scale - problem with arcs. Marek Moravec (marek) added a comment to D737: Solidify Modifier "Rim Only" Mode. Maybe it would be wise to make a separate Offset modifier based on the current solidify but without the nonsense option like fill rim, index offset etc. The think is that the simple offset doesnot generate any geometry so it should be in the deform category and not in generate together with solidify. 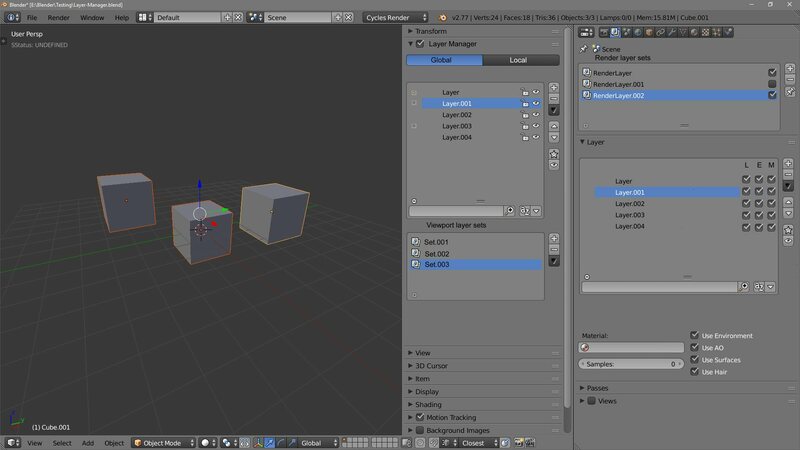 Marek Moravec (marek) added a comment to T39603: Cannot save tree presets in Blender 2.7 64bit win 7. Same problem for me under Win7. Marek Moravec (marek) added a comment to T40562: Loop Cut in Vertex select mode automatically switches to Edge select mode. I hadn't noticed the previous report, sorry for opening a new one. However I think that if the tool does not work as expected it is a bug. Can't see a reason in bringing more inconsistency into this tool. Marek Moravec (marek) raised the priority of T40562: Loop Cut in Vertex select mode automatically switches to Edge select mode from to Needs Triage by Developer. Marek Moravec (marek) raised the priority of T38321: Screen Layout Freezes Blender from to Needs Triage by Developer.